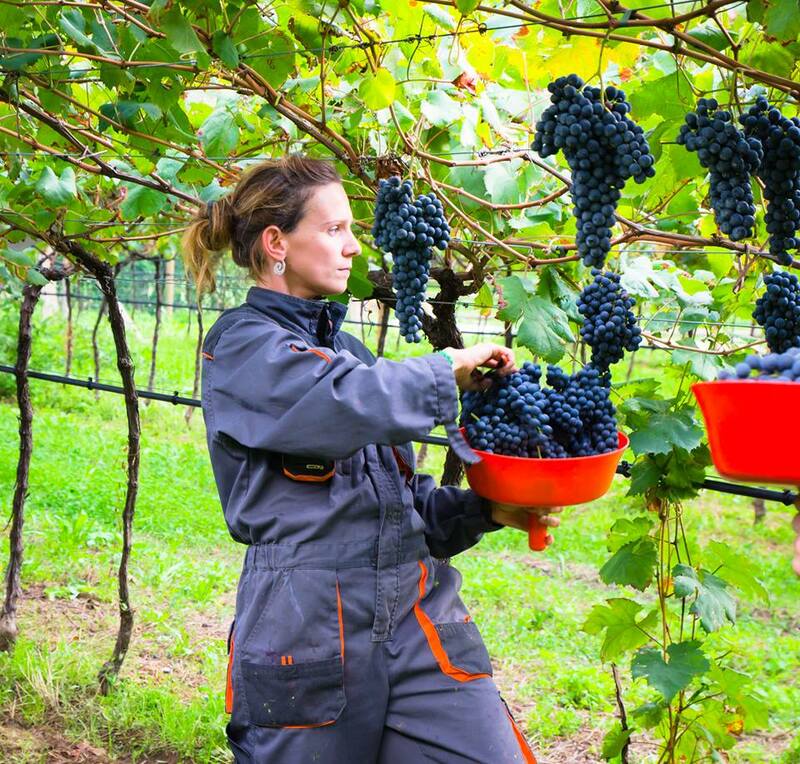 The de Vescovi family, or “family of bishops”, has been cultivating grapes and farming apple orchards in the Piana Rotaliana area of Trentino for over 300 years. 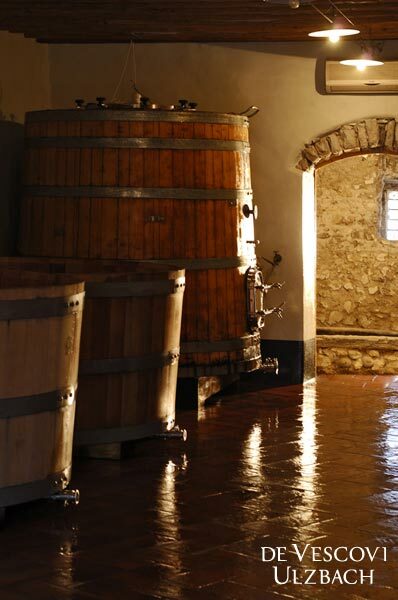 Mention of the De Vescovi and their feuds is found in chronicles from the 18th century, and an eponymous fortress towers over the village of Mezzacorona, making an eloquent proof of the family’s deep-rooted origins. During the second half of the 1600’s, Vigilio de Vescovi, a theologian who worked for the Prince of Trento, moved his family from Vermeglio settling down in an area close to the mouth of the Noce River (Ulzbach). 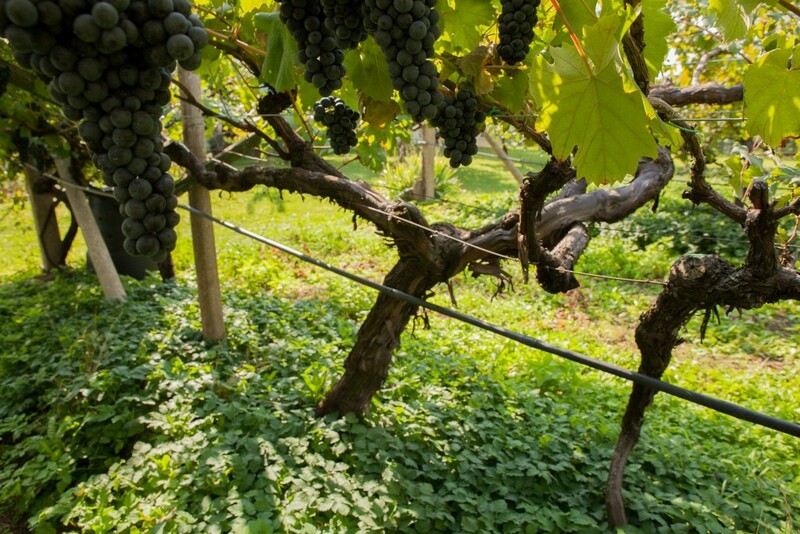 Here they began growing Teroldego grapes which have always flourished in this area because of the pebbly soil and ideal microclimate for this variety. 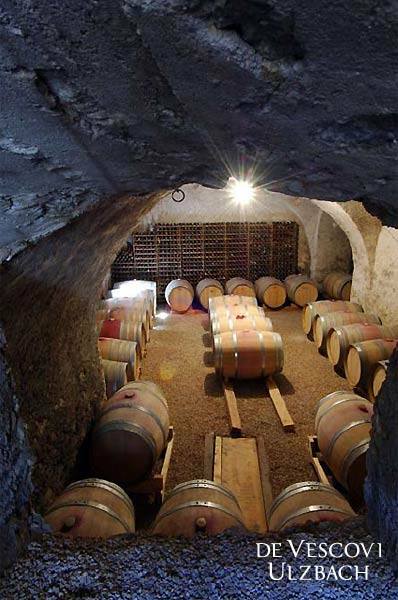 They began vinifying and bottling the estate-grown Teroldego grapes in the first decade of the 20th Century however, after World World II production was discontinued and the family opted for selling grapes to a local cooperative. 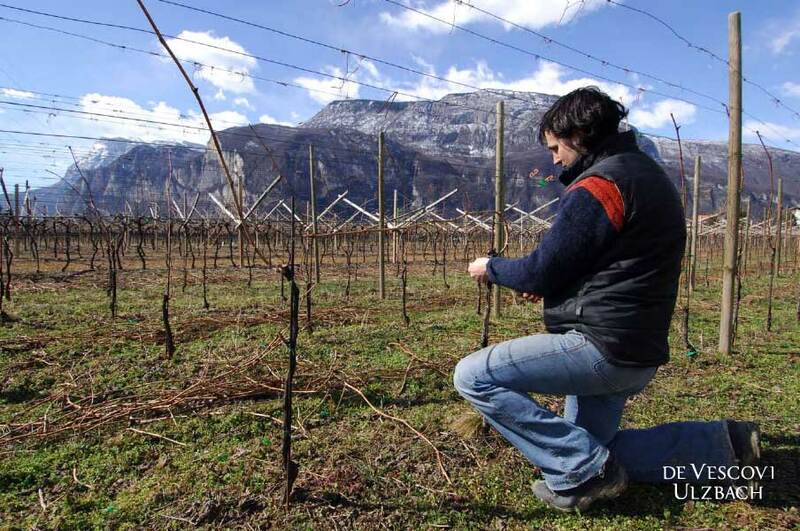 It was in recent years that young Giulio De Vescovi resumed the family tradition for estate bottling, taking full advantage of his graduate degree in Viticulture and Enology at the famous Istituto San Michele all’Adige. 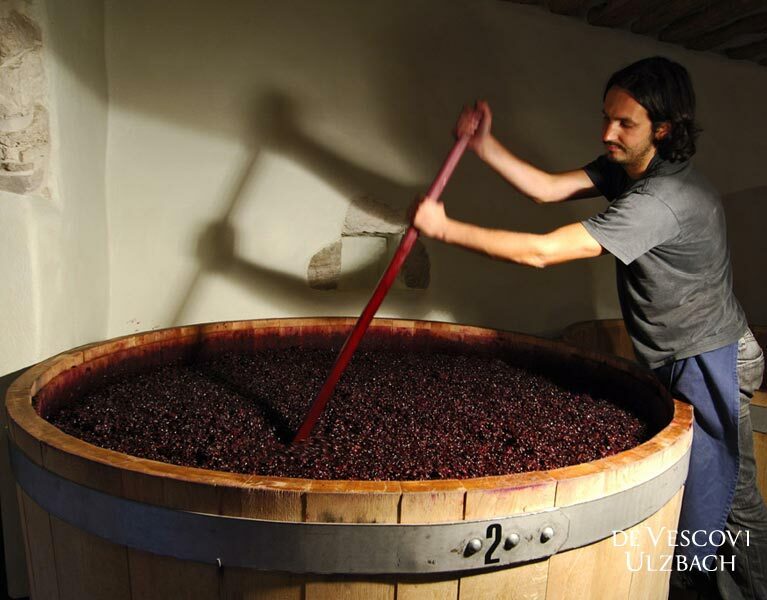 Giulio De Vescovi is young, passionate, ambitious, proud of his land and his traditions. To value the historical background of his family estate, he decided to include the ancient Austrian last name of his ancestors: Ulzbach, literally ‘Walnuts creek’, is a toponomastic nickname related to Rio Noce, the alpine creek springing from the Dolomite mountains that flows across the Piana Rotaliana, where his family settled down decades ago. In 2003 was his first “true” harvest and vinification, and in October 2005 the wines were labeled and officially back on the marketplace. 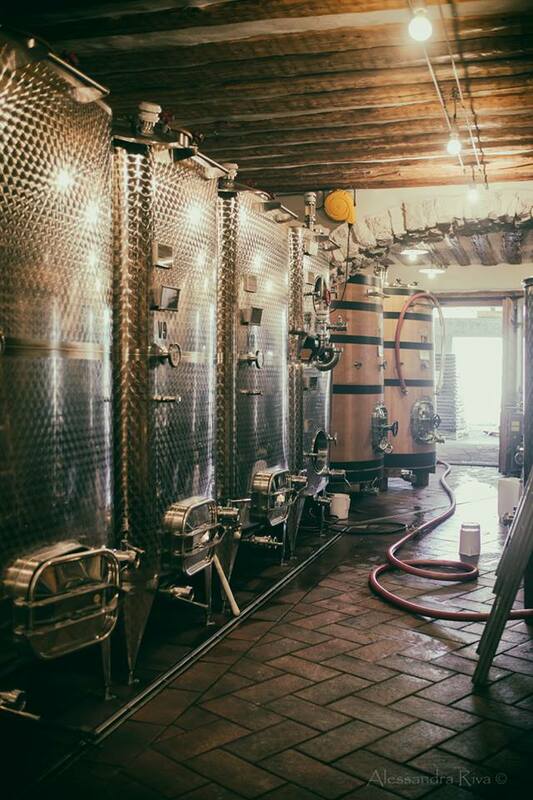 Now, perfectly attuned with the habitat of Campo Rotaliano, young Giulio De Vescovi is becoming increasingly confident in his work as a vigneron, mixing his age-old family tradition with the dedication of a modern winemaker. 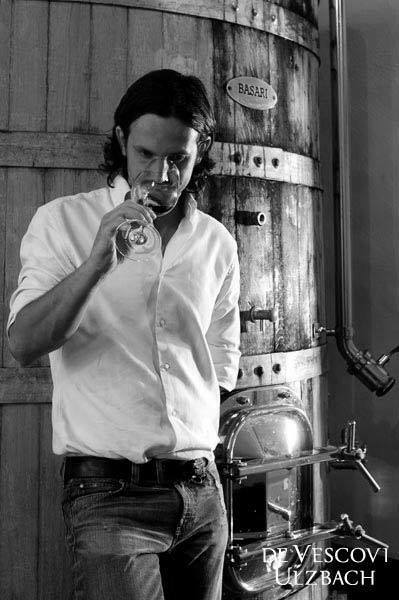 He makes two wines, two priceless versions of Teroldego Rotaliano, and garnering accolades and international awards. 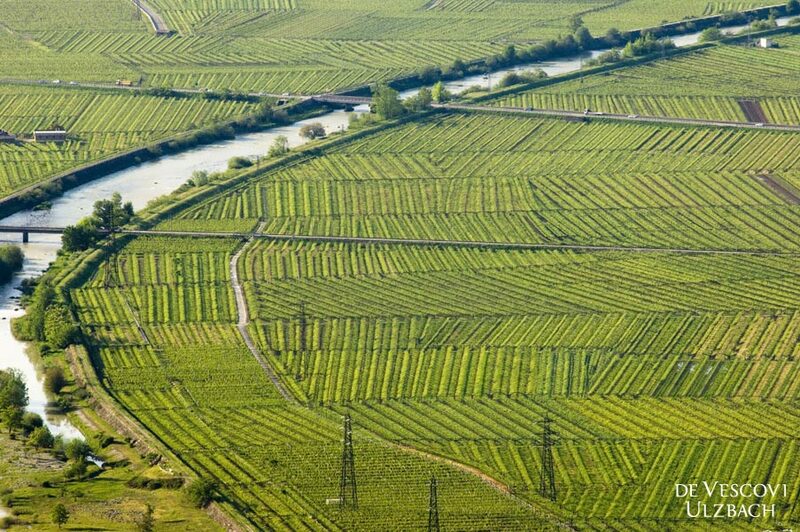 Estate vineyards amount to approximately 7 hectares entirely planted with native Teroldego grape and concentrated in two prized sites, Rauti-Camorzi and Fron. 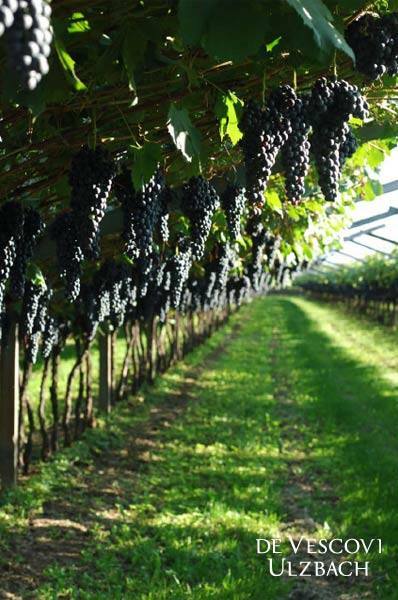 About 5 hectares are planted with 50 year old Pergola Trentina, the rest of the vines were planted in 1995 and trained Guyot. 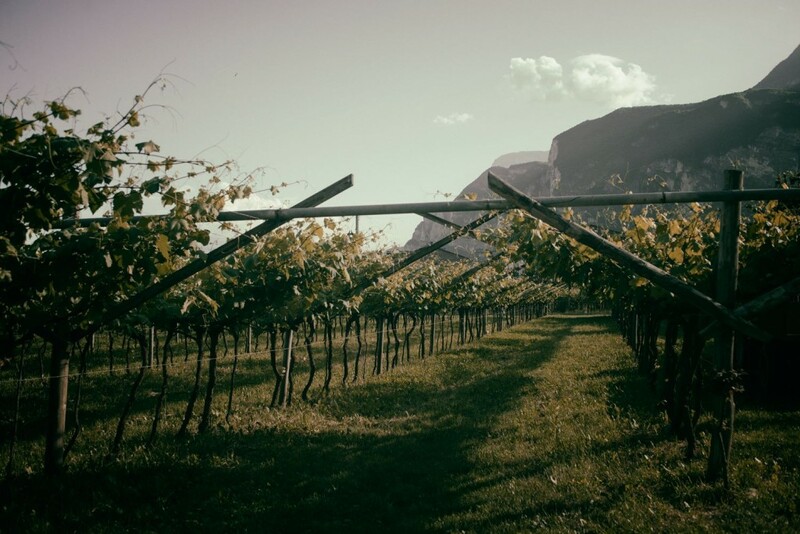 Mountain-side, low-fertility vineyards such as Rauti and Fron (where soil composition is Dolomite limestone covered by a layer of loose alluvial gravels) are ideal to tame the innate vigour of the Teroldego grapevine and to naturally limit high grape yields. 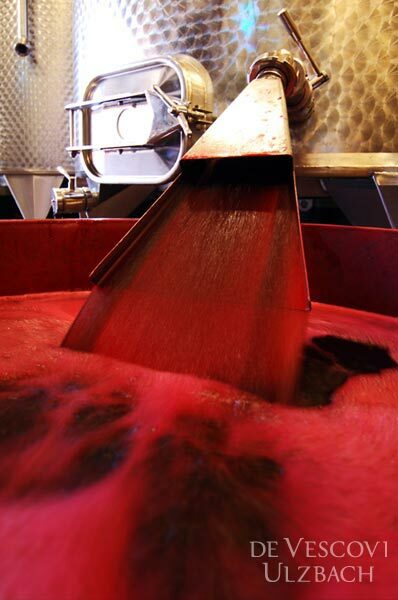 Selective hand-picking and low-yields are necessary to soften the naturally high acidity. 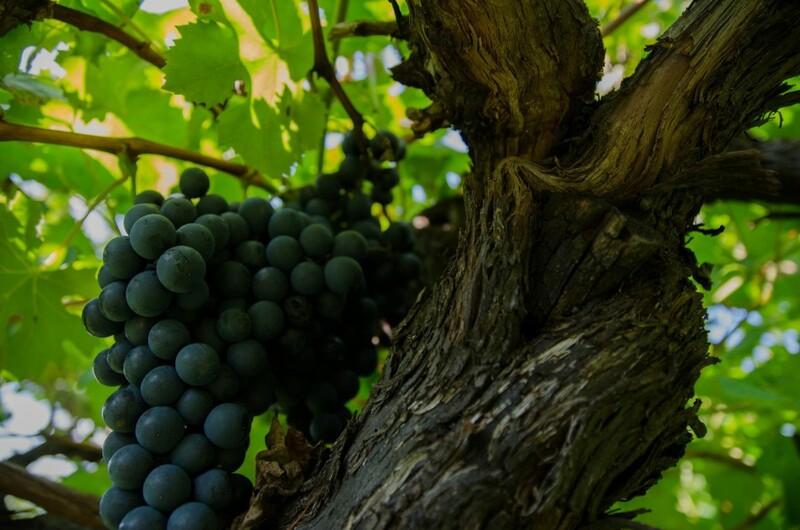 The De Vescovi Ulzbach Teroldegos combine organoleptic features that are quite unique: rich inky purple colour, lively acidity and a zesty, spicy bouquet reminiscent of crushed black currants intermixed with herbal nuances and stony minerality. Expansive and generous, caressingly drinkable, in keeping with the family style.